The 18th Annual Spokane Golf & Travel Show sponsored by iHeart Radio, KAYU Fox 28 & The Spokesman Review is this Saturday and Sunday, February 20 & 21 in the Spokane Convention Center. Event/show hours are Saturday 9–5 and Sunday 10–4. Admission is $12, children twelve and under are free courtesy of Damon Orthodontics. Every adult paid admission will receive a free round of golf from Spokane's Fairways Golf Course and another bonus golf offer - most free - from a variety of courses including; Coeur d'Alene Resort, Priest Lake, Columbia Point, Bryden Canyon, Redstone and Prairie Falls. Tickets are available at all TicketsWest Outlets, online at ticketwest.com and by phone at 800-325-SEAT. For more details go to SpokaneGolfShow.com or call 509-621-0125. 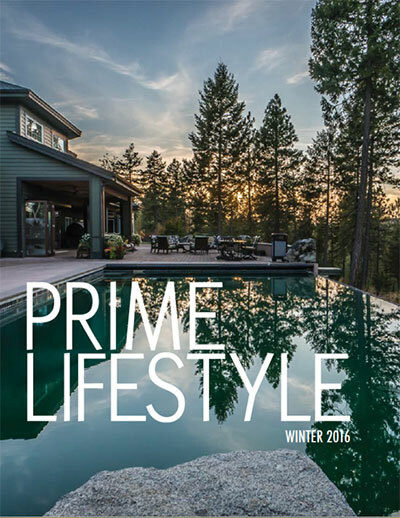 Prime Real Estate, owned by REALTOR Melissa Murphy, is launching a new quarterly magazine called Prime Lifestyle. You are invited to preview the introduction of the Winter 2016 issue, and their new website design, tomorrow night, Friday, February, 19 from 4-6pm at the Prime Real Estate offices, 417 West First Avenue. Enjoy appetizers, networking, and meet the Prime Team!